Season’s Greetings from Clarity Finances! As I’m sure is the case with you, these past few weeks have been a whirlwind. Once Halloween hits, it seems like we can’t apply the brakes on our lives until after New Year’s nearly two months later. Here’s a bit of a recap of my 2018. January 2018 marked my first winter in Florida. It took a little bit of getting used to the move and my new environment, but there were some perks like being warm in January! I took a look at my goal setting and decided to use the acronym SMART (Specific, Measurable, Attainable, Relevant and Time-oriented) to help. And while I did get to cross everything off the list, I gained a lot of clarity around how to combine giving with my bookkeeping business. During 2018 I also got more into podcasting; both listening to podcasts and even acting as a guest on a show. I even attended a conference on podcasts called Podfest. I wrote about that experience in a blog post here. Although I haven’t made my own podcast yet, I have been a guest on four podcasts: The Crushing Debt Podcast, Brewin’ up Business, Successfully Screwed and The Foot Whisperer. There could be a podcast in the works although I am leaning toward something with video. I read Evolved Enterprise by Yanik Silver and learned so much valuable information that I have been applying to my business ever since. I logged my thoughts while reading the book on my blog, so if you want to check out what I thought follow this link to check out my posts. Even if you are not a small business owner, you could still benefit a lot from reading Yanik’s book! Growing and improving is a core value for both Clarity Finances and me personally. One way that I enjoy growing is by helping others. In June, I traveled to Eutaw, Alabama for a mission trip with the Relevant Church of Ybor City. During the first week of October I went to Pindar County, North Carlina to help with cleanup work after some incredibly damaging flooding that came from Hurricane Florence; this trip was also done through the Relevant Church of Ybor City. This summer also had a thrilling World Cup, which saw the French team rise to glory above the other countries. Being a big fan of the beautiful game myself, I wrote a little bit on my thoughts about the World Cup in a blog post called The Business of the Beautiful Game. If you really want to go deep on the subject, check out my son’s blog Two Foot Talk. I attended Archangel Summit in Toronto and FINCON in Orlando. FINCON was especially exciting for me because I was chosen to be one of the Ignite speakers. This was my first opportunity to talk about Strategic Tithing for Businesses in front of over 100 people. Check out my talk from FINCON here. For 2019 I am doing repeats of PodFest in March, FinCon in September and Archangel Summit in October. The only traveling I have prior to that will be up to Philly to see family and do year end work with clients in January. I hope to get back to North Carolina to help with the rebuilding work that continues after the flooding of Pindar County back in September during Hurricane Florence. 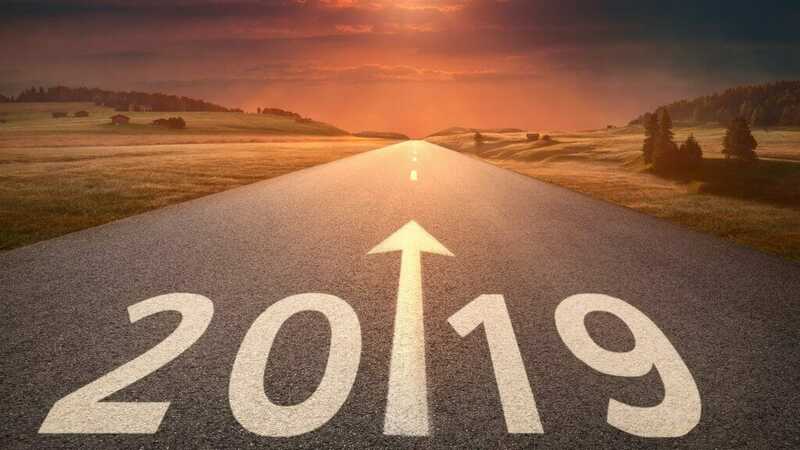 Here’s to a healthy and prosperous 2019! 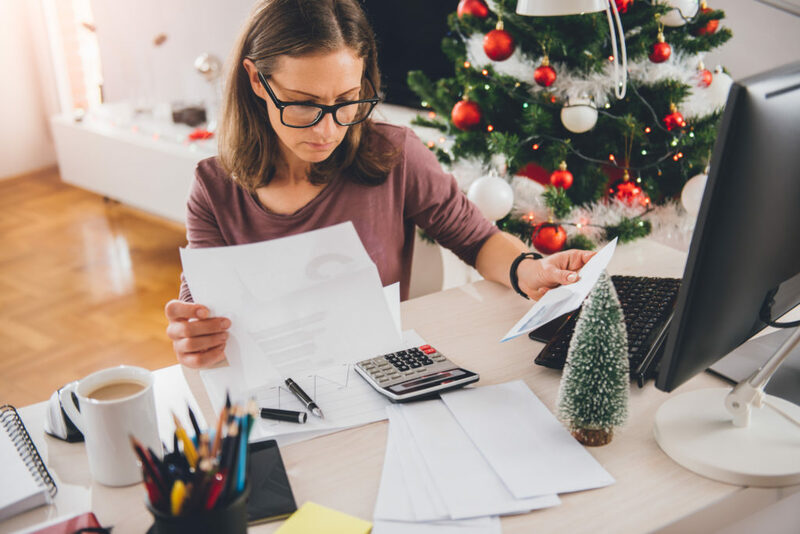 Money can be a stressful subject on its own but combining that with the stress of the holiday season can create a double whammy of stress. This is where financial healing and stress management comes in. Whether you’re a small business owner, someone raising a family or a single person, we could all benefit from a little financial healing. There are a couple of different ways to look at money. On one hand, you can look at it from the perspective of someone like myself, a bookkeeper. I see money as the numbers that determine the success and future of businesses. Looking at the “books” of a business can be very telling. 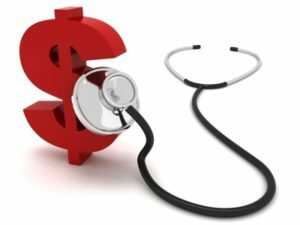 A quick glance could give you an idea of the business’ financial health, which in turn can determine the health of its owners and employees. Someone like my friend and colleague, Victoria Whitfield looks at money from a different perspective. Victoria is also a financial healer like myself, but we differ in our approaches to achieving financial health. While I may heal you and your business by making sure your numbers are to the upmost accuracy, Victoria has a more holistic approach. Among the many things that she does for her entrepreneur clients is managing stress. I’ve worked with Victoria for a few years for both personal and business healing. Especially around this time of year we could all benefit from a little stress management. I have a few different things that I do around this time of year to relieve stress and they may work for you too! First off, I scale back. My sons are now grown and while we do celebrate Christmas, it is nowhere near what families with younger children do around this time of year. I still decorate, but at a minimal level, only putting up the decorations that I know are my favorite. When it comes to my shopping, I try to find a balance of supporting my local small businesses while doing much of my shopping online to avoid crowds. Most importantly, I try to focus less on the consumerism side of Christmas and more on the spiritual side of the season. Some of our family traditions stopped as grandparents passed but one of my own personal traditions that I have maintained is the reading of a few Christmas stories. One is “The Power of Christmas Prayer” by Stormie Omartian. It tells the story about Mary and Joseph and baby Jesus from the time the Angel Gabriel give Mary the news to when the wise men visit. At the end of each chapter is a corresponding prayer. The other book is “The Max Lucado Christmas Collection.” It contains three stories of Christmas miracles. If you’re in need of some financial healing or stress management, feel free to try some of my tips or contact myself or follow this link to contact Victoria Whitfield. I initially heard about Archangel through a colleague who knows me well enough to tell me about events like Archangel Summit. The event sounded right up my alley and I bought the tickets nearly a year in advance, ensuring that I would be in attendance. Like many of the conferences that I attend, the event had many insightful speakers. The MC was JP Sears who was very entertaining. Sally Hogshead did a fantastic job telling us about fascination and how different is better than better. And her dress was amazing! The final speaker of the day was Brendan Burchard. He encouraged us all to ask ourselves every day “Who needs me on my A game? 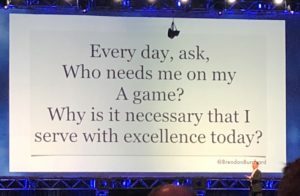 Why is it necessary that I serve with excellence today?” Another group of speakers went in a slightly different direction than I have previously experienced and spoke about feeding our brains. Their talk focused on how our diets impact our brains. They spoke on the benefits of eating organic when possible and avoiding processed foods. As someone who keeps a keen eye on their diet and health, this talk was quite enjoyable and instructive. They spoke briefly on the Ketogenic or ‘keto’ diet and its benefits as well as what healthy fats to include in our diets, the pluses of grass-fed beef and more. One of the other speakers from the event was Dave Asprey the inventor of bulletproof coffee. If you are unfamiliar with bulletproof coffee, check out this page to learn more. In addition to listening to great speakers, one of my other favorite things from attending events like Archangel is making new connections. 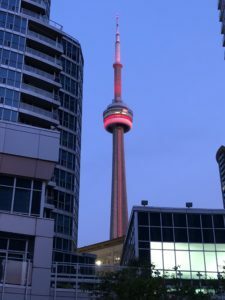 Sometimes I make a connection with someone from another part of the US or the world, but this time I travelled to Toronto to meet someone from where I currently reside, Tampa. Last year at the Ignite Your Business conference I was seated next to a man who under his ‘future life goals’ section had written that he wants to give $10 million; not make $10 million, but to give $10 million. I can share with you that I am not in a position to give an amount as large as $10 million, but knowing that I was in the company of those who aspire to donate that amount made me feel good and made me want to seek out more events where I could network with other likeminded entrepreneurs, like Archangel Summit. After my time at Archangel, it only further confirmed that I was in the right place. I networked with other likeminded entrepreneurs who want their businesses to do well so that they can give more. I didn’t have much time to explore Toronto as I was mostly occupied with work, but I did get to try a local delicacy, the beaver tail. A beaver tail is a fried dough pastry that is hand-stretched and elongated to resemble the tail of a beaver. Poutine is also a popular Canadian dish consisting of French fries topped with cheese curds and brown gravy, maybe next trip I’ll try poutine. Although I didn’t get to the top of CN Tower, I did get the picture included below. The next conference that I will be attending is the FINCON Expo, which will be held over September 26 to 29 in Orlando, Florida. Stay tuned for my next blog post where I’ll discuss my experiences from FINCON 18’. Over the last few months, I’ve been reflecting on what I’ve learned by reading Yanik Silver’s book Evolved Enterprise. I’ve covered topics like inspiration, giving both forward and giving back, my core values, why I do this and much more. Check out the rest of the blog posts on my website’s blog page or on my LinkedIn profile under my articles section. I was away on a mission trip and wrote about that instead of Evolved Enterprise for a week and I also took some time to write about the World Cup, but can you blame me? That was such an exciting tournament! But I digress. I love to read and when I came across Silver’s Evolved Enterprise, I hoped that I could learn a few things. Silver’s writing style is approachable and seems to be geared to those with limited time on their hands, like those who run businesses. He fills the book with anecdotes that range from eye opening to insightful. If you’re wondering what anecdote was eye opening, you’ll just have to pick up the book yourself and check it out. I could’ve read this book in just a few days time, but when I was reading it, I felt that it was talking to me personally. Without giving away too much from the book, I decided that I wanted to share these lessons and my reflections with others so that they too could reap the benefits of Silver’s teachings. Clarity Finances has been in business for 11 years. I have clients that I love working with and hope to add more clients in the future but feel like there is always room to improve. I attend numerous networking events and conferences throughout the year to stay up-to-date in my field but reading Evolved Enterprise gave me some new insights. The focus of the book revolves around how people who want to make the world a better place can do so through their businesses. I love what I do and love to work and I also love helping people so Clarity Finances and Evolved Enterprise seemed like a nice fit. As I read the book, I realized that in a way Clarity Finances was already an Evolved Enterprise but there is always room to grow, learn and improve. What’s next for me? I’ll be attending ­­­­­­­Archangel Summit on 9/8 in Toronto. This event will be attended by a couple thousand other entrepreneurs who agree with the Archangel Manifesto by Giovanni Marsico, which begins with “I have a dream, of a future free of poverty, hunger and illiteracy. I believe that the keys to social change are entrepreneurship and education. I believe that entrepreneurs are the key to a bigger and better future for the planet.” I’m also always up for a good book recommendation so if you have any that you think I would like, let me know. They don’t have to be business related. For whom are the services that Clarity Finances offers? If you’ve read some of my previous posts about my core values you might get an idea. If you haven’t got the chance to read such posts on my blog or haven’t had the chance to tour my website (link) let me give you an idea. The QuickBooks and bookkeeping services offered by Clarity Finances are for businesspeople seeking accuracy. 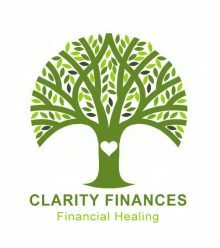 I chose the name Clarity Finances because I want people to understand or see their financial position clearly. What do I think people think of when they think of Clarity Finances? Like I said in a previous post, the name of a business can carry a lot of weight. The word clarity can make a few different words come to mind like transparency, honesty and trust. These words all bring a nice image to one’s mind, but a reputation takes time to build. With a good reputation loyalty can be built between a business and its clients. I still believe in the power of word of mouth as an excellent advertising tool. Dunkin Donuts, Honda Motors, White House/Black Market, TOMS Shoes, Virgin Airlines, MaryKay Cosmetics and Dave Ramsey Companies all come to mind when I think of brands or businesses to which I am loyal. I’ve driven Hondas my whole life and drive one today. I mention TOMS Shoes all the time in my blog posts, but I love their one for one business model and own a few pairs of TOMS Shoes. I look up to people in the world of business like the founder of the Virgin Group, Richard Branson and have learned a lot from the works of Dave Ramsey. What all of these companies have in common is that they are fun, innovative, have great customer service and care about developing their people while giving back to others. I use the title Financial Healer because ultimately, I want all of my clients to have a better relationship with their money. I see myself as not just a bookkeeper, but as a caring connector. I act as a caring connector by connecting people with the truth of their financial position and finding ways to evaluate and use this financial information. Networking is one thing, but connecting and building bridges takes networking to another level in my opinion. Connecting others can be as simple as joining local clubs and meeting other likeminded people, whether it is a club for business or pleasure. I make an effort to connect with experts who help businesses grow in the areas of marketing, in depth financial analysis, financial investment, insurance, strategic planning, organization of processes and human resources. If I feel like I don’t have the trust of a client, I don’t feel right working with them and the same goes the other way; if I feel like I can’t trust a client I do not want to work with them. For this week’s blog post, we’re heading to Russia. Russia hosted the 2018 FIFA World Cup, which saw France rise above the rest to claim the title of world champion. Congratulations to France and their team for surviving the gauntlet that is this tournament that we only get to see every four years. This is France’s second World Cup championship. They previously won in 1998, when they were also the host nation. Not only am I a fan of soccer, but I also used to play. I was a mom who played soccer and a soccer mom. I played left back for close to ten years—not even close to the skills my younger son who also played defense but I had fun. Soccer is a family tradition it seems as my sons both played all throughout school and are true fans of the beautiful game. This World Cup started with 32 teams from all over the world and after the dust settled, France was crowned champion. This tournament featured unexpected early exists from the two best players in the world Cristiano Ronaldo and Lionel Messi, and their respective countries Portugal and Argentina. Other usual heavyweights like Germany failed to advance to the second round, which only opened things up more. In addition to the early exits of traditional powers, the tournament began without 4-time champion Italy, the Netherlands, Chile and the United States as they failed to qualify for the tournament. Egypt, led by rising star Mohamed Salah were a popular sleeper pick but failed to advance as their star was still recovering from a previous injury. Not only is the World Cup an opportunity for nations to come together in the spirit of competition, but also big business. According to an article from Business Insider, FIFA generated $2.2 billion in profits from the 2014 World Cup in Brazil. While FIFA took home some serious money, this is partly due to not having to cover the costs of building new stadiums, public transportation lines and other facilities; that was left to the host nation Brazil. From the same Business Insider article, Brazil was reported to shell out $3.6 billion to construct stadiums that do not get much use after the matches end. While hosting the World Cup may be exciting for the people of the host nations, and host nations do get an automatic bid to the tournament, this reminds me of the subject of countries hosting the Olympics. I’ve written on this topic in the past and the comparisons are strikingly similar. The countries that host the matches are due for an influx of money due to all the visitors for the tournament, but the players have a chance to make some money as well. The overall prize fund for the 2018 World Cup totaled $400 million, with the champion taking home $38 million, according to Sports Illustrated. A star of the tournament and at 19, the youngest to score a goal in a World Cup match since Pelé, French forward Kylian Mbappe has elected to donate his salary from the tournament to Premiers de Cordée, a charity that offers sporting opportunities to children who have been hospitalized or have disabilities. Mbappe made around $22,000 per match in the World Cup compared to the $350,844.30 he makes per week playing for his club team of Paris St. Germain. While some favorites failed to even make the tournament and others failed to advance past the first group stage, France was a contender that looked poised and precise throughout the tournament and finished with maybe their best performance, winning the final in Moscow convincingly 4-2 over Croatia. Have you ever heard of Eutaw? No, that is not a typo. I am talking about Eutaw, Alabama of course. This is where I was from June 9th-15th with Relevant Church of Ybor City, Floridafor a mission trip. This was my first mission trip with the church while this was the church’s fourth mission trip to Eutaw. Over the past few weeks I’ve been writing about how I am trying to make Clarity Finances more of an Evolved Enterprise by studying the works of Yanik Silver. For this week’s blog post however I wanted to switch things up a little and show how I am going about trying to make my business more evolved. In the various posts, I’ve written about ways in which a business can stand out and differentiate itself from the rest. One way that I want Clarity Finances to stand out is by giving back to the world and to my immediate local community. I’ve been on a number of mission trips throughout my life that have taken me all over the world to places like Honduras, Russia and Guatemala. I was stateside for this mission trip, which was just a 10-hour road trip from my home in Tampa, Florida. Seven of us from Relevant Church of Ybor City, Florida disembarked for our journey on June 9th. Over the course of one week we worked throughout the town of Eutaw, Alabama. According to an article from AL.com, Alabama is the 6th poorest state in the nation and the town of Eutaw is not exempt from the struggle with poverty. Despite being one of the wealthiest nations on Earth, the US has plenty of cities and towns struggling with poverty. Feelings of surprise, shock and disappointment all may come to mind when hearing things like this, but what can the average person do to make a difference? We may feel powerless and lost when it comes to making societal change, but to quote the British author George Eliot, “Great things are not done by impulse, but by a series of small things brought together.” I alone cannot change the course of poverty in this country, but along with six other people from my church, we tried to contribute something positive while at the same time learning more about the culture of the area and other ways we can help in the future. I also want to mention, I’ve been on other mission trips before and I always notice if the trip runs smoothly or chaotically. This one was delightfully well run. Yay! There are a lot of logistics involved in mission trips and they are not easy things to coordinate. Please pray for the amazing Mickey who makes that happen for SCORE International’s trips. He brings years of event planning experience with him and that is a huge blessing! For my next mission trips, I plan to return to Eutaw, Alabama next summer and I am considering going with a team to Jamaica in January that does home building and repair. Any contractors want to join me in Jamaica? If you feel called, please contact me! When I decided to start my own bookkeeping business, I needed a name. There’s a lot in a name. In its most basic sense, this is the simplest way that a business can identify itself. Numbers are something that can make some people uneasy. Since numbers do not intimidate me, I wanted to help businesspeople see the clarity in their numbers. I also wanted there to be clarity in what I do and how I do it. In Evolved Enterprise Yanik Silver talks a little about ways that businesses can differentiate themselves from others. That got me to thinking about ways that Clarity Finances can stand out in the world of bookkeeping businesses. One way that I think a business can stand out is honesty. Part of honesty in the world of business is transparency and I wanted to take the opportunity to give an inside look into the world of Clarity Finances. What many people might not take as too much of a surprise nowadays is the use of automation in bookkeeping. Electronic payment processing, bank downloads and software that scans and inputs invoices have all sped up the data entry process. With so much of business happening online, it makes sense that bookkeeping could also be done off-site or virtually. As a virtual bookkeeper a lot of what I do is help business owners make sense of the automation and the information it generates. Sometimes automation simply enables wrong information to be gathered more quickly. I try to help my clients avoid that frustration. When your numbers are in the hands of Clarity Finances, accuracy is of the utmost importance. Bookkeeping is not just keeping track of receipts. After the data is entered, whether via automation or the old school manual method, the information must be reconciled against monthly bank and credit card statements. Financial reports including the Profit & Loss and Balance Sheet need to be reviewed. I like to do a monthly check in call with each client that I have. During roughly thirty minutes we review the numbers from the business. I ask the business owner if the numbers look like what was expected and if all the information is included in a format that makes sense. I want my clients to have a clear understanding of their numbers—to be confident in the information in the financial statements. All of these things that are a part of my process boils down to clarity; honesty, avoiding frustration, making sense of numbers and treating each client uniquely. So a business can stand out with a good name but what really matters in my opinion is if the business lives up to that name. 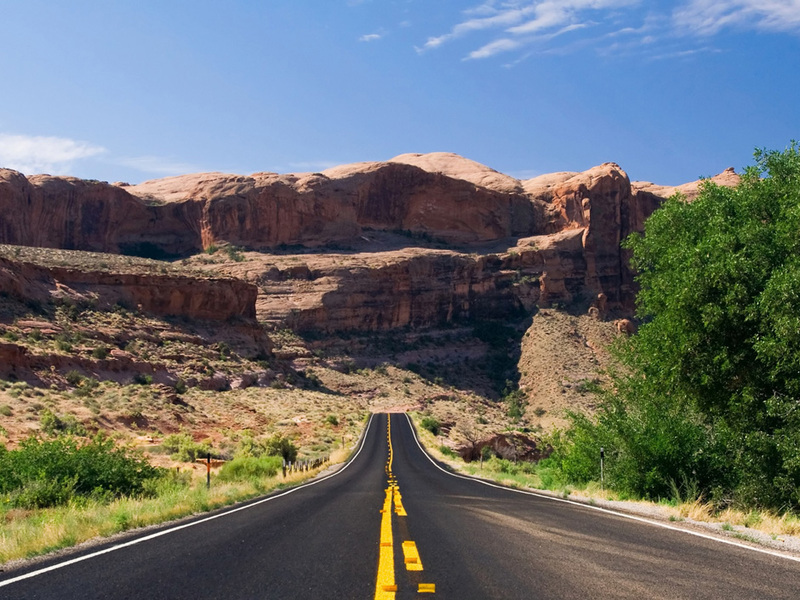 What do I need to do today to move my business forward? I ask this question to myself often. Running a business, among many things, is a practice of focus. To have an outcome in mind for your business is important, but reaching this outcome requires setting attainable goals. There are a lot of coaches out there talking about goal setting. One thing that is common among successful people is to have specific goals that they write down and think about all the time and believe that they will achieve. I still operate mostly from my Google Calendar and that is where I put daily and weekly goals. I spend time annually on bigger goals and hang up images and words that help me to stay focused. I also have quarterly goals, which are mostly things that must happen to progress toward the annual goals. I have vision goals that I know by faith are going to happen, but I am not sure when. My vision goal is that I want to take teams of experts and resources around the world to places where there are people who already have a great idea to transform their own lives and communities, but they are just praying for someone to help, bringing experts and resources. I want to be the answer to those prayers. As I plan my annual, quarterly, weekly, daily goals that vision goal is always in front of my mind. Leaving time to do research and networking related to my vision goal is a priority as I plan all of my other goals. When you get to know yourself better, you can achieve a deeper sense of direction in your business. Silver points this out in the text of Evolved Enterprise that by knowing yourself you can put your whole essence behind something and in this case it is running a business. Silver presents a way of evaluating yourself and your business in the form of R&D (Research & Development). A lot of companies have R&D departments, but for entrepreneurs this is doing research and development on yourself and thus gaining a more precise focus on your business. 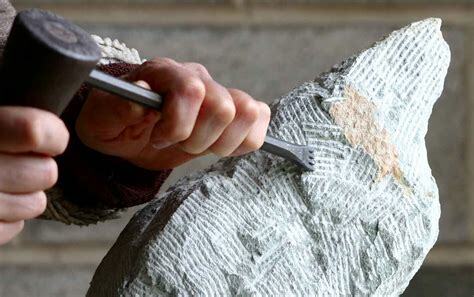 Research and Development is done throughout the everyday operations of your business. Past failures should not be seen as a sign of weakness but rather embraced as learning opportunities. Failure in business can mean a number of things, from the larger scale like declaring bankruptcy to small things like missing an appointment. For me one of my greatest learning experiences through failure is the importance of listening to your gut. Never ignore what your gut is telling you, especially when it comes to choosing who to work with—whether it be a client or a team member. Each time I have made that mistake it has cost me money, sleep and time. Business owners need to think about not only how they are treating their businesses, but also themselves. We need to love ourselves and take care of ourselves. Some of the ways I practice loving myself include prayer, meditation and exercise and avoiding foods that make me feel crappy. Since it continues to be a challenge for me to sit still, I count walking in nature as a form of meditation. A form of loving myself that I added last year is working with a personal trainer at the gym. It is more of tough love, but I am stronger than I was a year ago, so it is totally worth it! Giving is another practice that takes care of both the giver and the receiver. Studies like this one from The Cleveland Clinic point out that giving back can have benefits for both those who receive and those who give. Giving can boost the physical and mental health of the giver. The article calls it a “giver’s high,” similar to the “high” achieved by runners after a good workout. Intertwined with working towards my next goal in business and working on my R&D, I spend time in gratitude. When I talk about focusing more on gratitude, I don’t mean just being thankful for the successes I’ve worked for so far at this point, but moreover a gratefulness for simply being. Writing down what you are grateful for can be powerful and super helpful to look back on during moments when gratitude is hard to hold onto. We have a gratitude jar where we write on little pieces of paper each night something we were grateful for that day. Each New Year’s Eve or Day we read them all. It’s a nice way to celebrate the year. I used to keep a journal with my sons and we would write 10 positive things from the day in it. Doing a free flow of gratitude can shift and lift my mood. Writing of any sort can be a release for some people and when you take the time to be grateful and write this down, the effects can reach a biological level. In a study cited in an article by the Chicago Sun-Times, researchers showed that patients with asymptomatic heart failure who kept a gratitude journal for two months showed improvements in heart health, heart rate variability and reductions in circulating levels of biomarkers. Part of becoming an Evolved Enterprise is knowing why you do what you do. Most entrepreneurs do not start their own businesses just for the money. Yes, we all have bills to pay but there is usually passion behind the decision. For me it is helping business owners grow their companies by removing confusion in the finance tracking process. My passion is to inspire growing businesses to give more through collaboration. We are better together. When you do a little soul searching in your business, you get a better understanding of your why. In the text of Evolved Enterprise Yanik Silver lists 11 different types of Evolved Enterprises that he calls Impact Business Models. For example, Impact Business Model #1 is a one for one business like TOMS Shoes. I encourage you to read the text to see the rest of the list and what Impact Model your business most resembles. And on a personal note—I love TOMS Shoes! After examining my business from the outside in, I would say that Clarity Finances most resembles Model #3. A Model # 3 business gives a percentage or dollar amount to charity. This is one of the most common Impact Models for companies committed to making a difference. In the past, Clarity Finances has given 10% of revenue to a variety of charitable organizations, including Rotary International and The Unstoppable Foundation. This year we will be supporting Answered Prayers Project. I also find myself trying to figure out ways to implement Model #4. Model #4 is two parted and based off giving what you want and where you want. The first part of giving what you want is more about giving customers a choice to donate what they want like at pay it forward restaurants like Karma Kitchen. The second part of Model #4 is donating where you want. Some companies will offer customers a corresponding charity with a certain product. I am leaning more towards a donation of services or education with this since Clarity Finances provides services rather than products. When I learn of other businesses that have a similar mindset towards giving I welcome the opportunity for collaboration. I believe entrepreneurs working together really can change the world!